Step away from the ball and No one gets hurt ! I haven't been writing much lately. 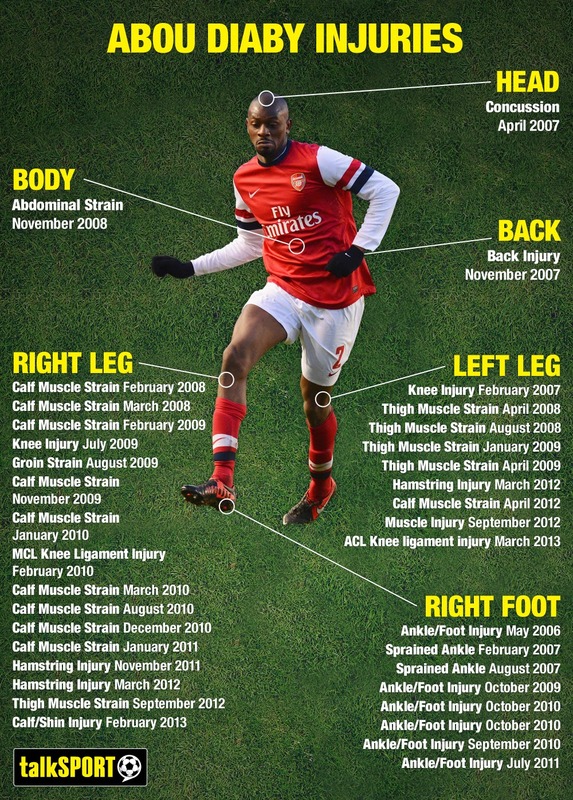 In fact I have written exactly as many posts in the last few years as Abou Diaby's starts for Arsenal this season. Also, the same number of questions I would correctly answer, if you happen to ask me something/anything from my Engineering subjects. And co-accidentally, the number of people who resist from uploading photos of their recently-married/recently-onsite pona moonjis on facebook. While Vidic is not considered amongst the brainiest of defenders who will already be there types (Like a Mertesacker - with his brilliant positioning despite his awkward height), he will definitely top the list of defenders who will get there by determination types. Vidic will get there to take the ball even if you were the Roadrunner sprinting away. He will get there and disarm you in the most efficient of ways. Even if he slips, he will never give up, wave hands in a depressing manner and blame Life, Earth, Universe like an average English defender would do. Vidic would rather get up and sprint forward without giving up hope and ultimately minimize the damage that were to happen. 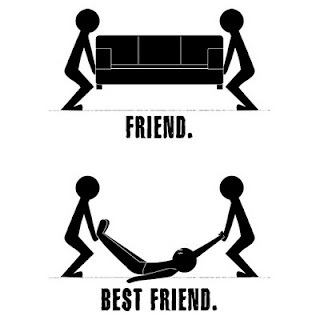 And of course there is the third type of defender, Don't be there and Don't get there ! 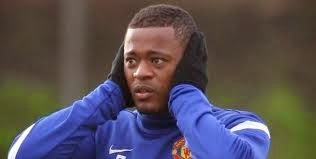 which thala Evra has been preaching a couple of seasons now with fervid devotion. 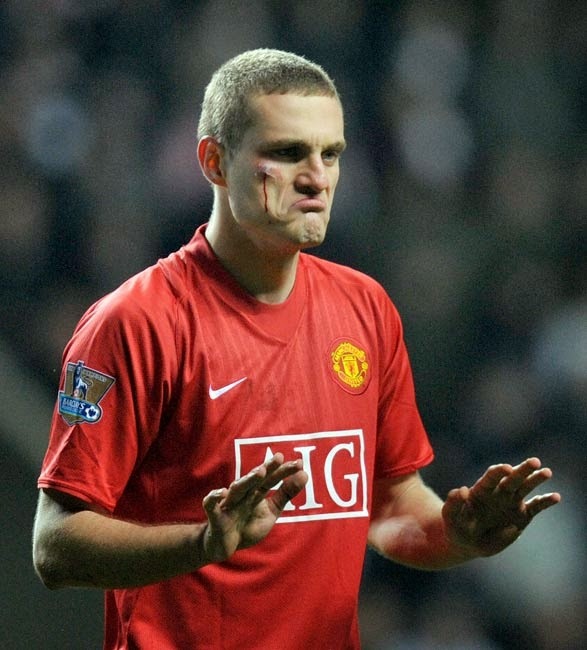 Vidic also teaches one to care not for style, but give it all for substance. The Job always comes first. He will probably be best-suited if you had to pick football players for Gladiators. He won't care if he bleeds. In fact, he will bleed every match if it means the opponent wont score. (And he will smile while bleeding too) He won't care if he is fractured. He won't care if Cobb brings a freight train through Old Trafford. Nothing would move him. The job would still come first. 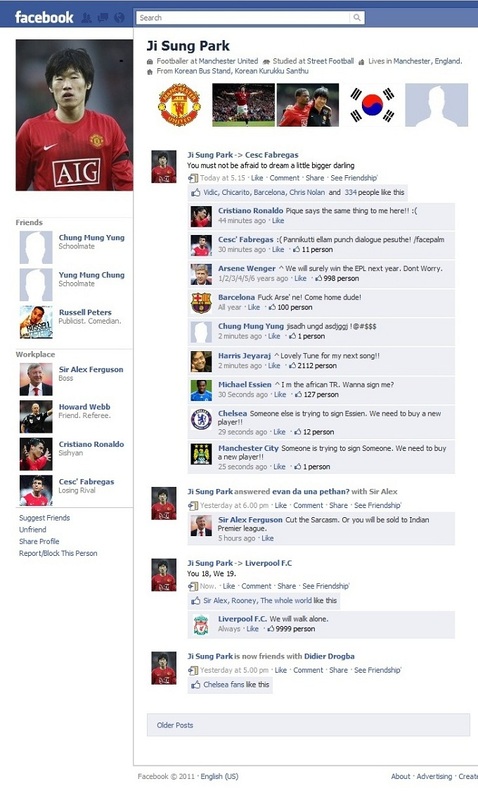 He would simply do anything for Manchester United regardless of the consequences. Also, I for one, cannot imagine something that could frighten/scare Vidic. Large lizards or awkwardly hopping frogs or nasty roaches wont disturb him. Not even a flying one! It is infact he who scares the life out of people. It is for this very same reason and the respect he commands, you sneakily move away from viewing the picture of Mrs. Vidic on the Man United WAGS section ! No, not her ! Suttufied list from another blog. Bold for things you have already done. Italics for things that you are dying to do! Scored more than 20 runs in an over. Organized your CDs Song folders. Won money on a TV game show. Skipped all your school reunions. As of now : 74.
" The Ten Commandments of Air Travel " by the average moviegoer. 1. There will exactly be one celebrity per flight. 2. The guy with the beard has a drug problem ! 3. There is always a highly talented, multi faceted doctor with cross platform expertise travelling in every flight. Should the flight crash, he will be the first to survive. 4. There is also a fatherly figure around to give you advice on life, the universe and other stuff whenever you want. And of all the time you can get it, you will only want it minutes before getting killed. 5. There are two pilots flying every plane and one always dies. 6. There is one happy family who makes another passenger realise he/she should get back with their estranged spouse. 7. Kids on board will survive plane hijacks with ease. The same cannot be said for their parents though, who usually top the "its-a-sacrifice-for-the-team" list. 8. After a flight crash, that girl you gave a second look in the airport lobby will become your soul mate. 9. There is one devout christian to pray to Jesus whenever things go wrong. With luck you might also get a Muslim or a Korean co-passenger. "What's in your bag? ", the theater guard inquired. "Oh nothing. Just a bomb! ", I grinned. Sensing the sarcasm, he let me and my friends straight through with a smile. The movie highly rated for its father-daughter sentiment and the protagonist's acting as a retard, lived up to its potential. It had a truly lasting impact and as we left the theater, I couldn't help but feel strangely empty. We started walking towards Anjappar for lunch. What was it, that was missing in my life? A drabble is an extremely short work of fiction of exactly one hundred words in length.
" I don't quite grasp the concept of AG Books. I mean what is it? I understand that Autograph (AG) Books with respect to a college final year student, are regular-but-with-a-fancy-cover-attached-and-you-pay-triple notebooks that students give one another, when they finish college to write something. Ya something. But what do I write? Do you want me to write about you? Really? Isn't that a bit like posting a FB status with just the words 'comment on me' and tagging everyone? Or do you want me to write about myself? Do you wanna know more about me? Ore confusion! I think in all fairness, the AG Book-er really means to say to the AG Book-ee, "Err this is a book. With lotsa pages in it. Forget the fact I gave it to you and asked you to write. Write whatever that comes to your mind. Anything you want. Anything that you can come up with your knowledge of the universe. Anything. And yeah, one tiny, small detail. Make sure they are all relevant to me, alright? (grin) "
Ok. If you know the person, its kinda ok i guess. I mean, yeah I will write something and you will get it now, what you could not get in the past 4 years of being with me. But it gets especially tricky when you don't know the person good enough. I mean, I understand you talk to a friend of mine and you are my classmate and I was standing near him, when you gave him the book. But no, I m not the widowed mother of two children and you really don't have to be polite dear. Yes. I know the picture ain't related much to the article. The guy who you never passed the bit to, keeping it for yourself and so failed his internals :-@"
There is atleast one six-page-writing, with xoxos, love yous, mmmuahs thrown in, best friend girl for every girl. Everyone wishes you for "a bright future", but doesn't want you getting a higher package than them in your campus placements. True story. The owner takes in strenuous efforts and writes an introduction in the page put in to separate the content from the bounded cover. Some greeting card stuff. The recession version of AG books is an old diary. Has an antique look and let writers choose their own day of the 365 days!!! woohoo! Everyone gives their contact details. Their address, phone numbers, DOB and all. And you are forced to think if attaching a resume is a good idea. Now had Mark Zuckerberg not got his 'spark' from Harvard Connections in the Social Network, I m pretty sure he would have thought of it in his final year while writing AG books. Facts apart, I still write AG books for the love of other people. Yes I found slam books and +2 TNEA counselling application forms similar, but unfortunately I am an altruist. Have a bright future!! :-D "
I m a Split Personality. I m not a Split Personality. "Its simple. We kill the Batman ! " All rights reserved. Copyright © Vishnu Gowthem. 2011. Awesome Inc. theme. Theme images by digi_guru. Powered by Blogger.